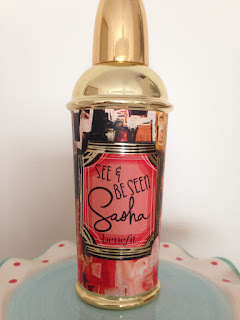 Benefit's Sasha eau de toilette has a floral and daring scent to it, it has a very empowering fragrance and that is why it is in my top perfumes. It has a certain allure to it which is why it is so captivating!! :) As with everything Benefit does, it comes in a beautiful bottle and packaging. I love their style and it's no shocker that Benefit does as well as it does! classic urban luxury her expression excites. 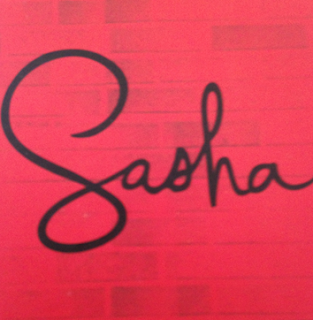 See & Be Seen Sasha has scents of orange flower absolute, apricot, pink freesia Middle notes: ylang ylang, tiare flower, white peony, jasmine sambac, crystal amber, liquid musk and vanilla. It costs £29.50 for a 30ml bottle and £39.50 for 50ml. 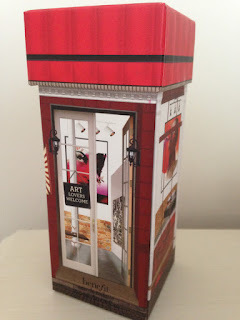 Considering the high prices of good perfumes this is a bargain and Benefit's perfumes are definitely the best. The next of Benefit's perfumes on my list to try is 'Laugh with Lee Lee' and 'Ring My Bella'.